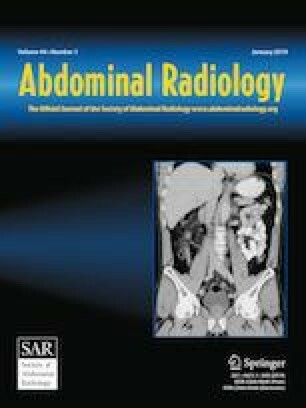 To identify imaging markers that independently predict the post-operative outcome of intrahepatic mass-forming cholangiocarcinoma (IMCC) using gadoxetate disodium-enhanced magnetic resonance imaging (MRI). Data from 54 patients who underwent pre-operative gadoxetate disodium-enhanced MRI and curative surgery for IMCC were retrospectively evaluated. The prognostic power of various imaging and pathological features reportedly associated with recurrence-free survival (RFS) and overall survival (OS) was analyzed using Cox regression models. A model combining imaging and pathological features was developed and its performance was evaluated using the Harrell C-index and Akaike information criterion. Capsule penetration (P = 0.016) and tumor size (P = 0.015) were independent markers for worse RFS, while capsule penetration (P = 0.012) and hepatic vein obstruction (HVO, P = 0.016) were independent markers for worse OS, respectively, in the imaging-based model. Capsule penetration was the only imaging marker identified in the combined prediction model of RFS, and the combined model showed a higher C-index and lower AIC value compared with the model based on pathological features alone. Capsule penetration and HVO on MRI are significantly worse imaging prognostic factors for post-operative outcomes in patients with IMCC. Incorporation of capsule penetration and HVO into a surgical staging system may improve prediction of the post-operative prognosis of IMCC. The online version of this article ( https://doi.org/10.1007/s00261-018-1727-5) contains supplementary material, which is available to authorized users.